I think (and wish with all my heart) that this is a one-off*. But it’s hard not to be concerned when a reviewer suffers such a violation of her privacy and her negative reviews are portrayed as trolling and bullying, as if such things justified stalking someone. Worse, no one is being held accountable, some people are praising Hale, others are saying the reviewer deserved it, the mainstream media seems to have forgotten how to research and fact-check, and the publisher remains silent. 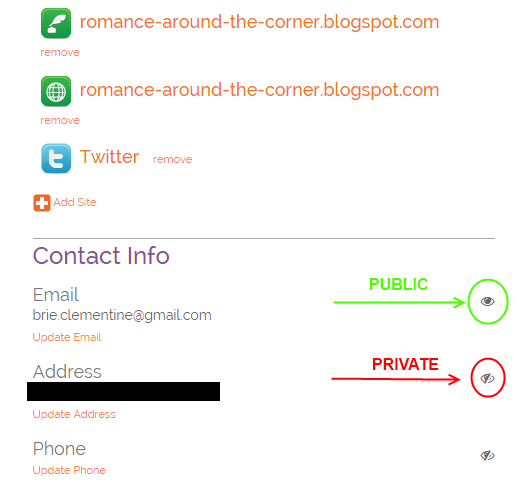 This last part is of special interest, because on her account Hale says that she verified the reviewer’s address with “a contact in a publishing house”, which, even if it wasn’t HarperTeen, still makes their silence and lack of reassurance that they take their bloggers’ privacy seriously, quite worrisome. Because, among other things, "we do not disclose our blogger contact information as a general matter" (emphasis mine) isn't the same as "we do not disclose our bloggers contact information". Another thing that concerns me is that some seem to overlook the power disparity between this reviewer and Hale, who is not only a professional with a machinery working for her (publishers, publicists, agents, etc.) but her engagement to Simon Rich also makes her particularly well-connected to the New York literary world. Whereas, on the other hand, we have a hobbyist reviewer who posts her reviews on a free blogging platform and on Goodreads, a bookish social network designed to host reader reviews. But of course, some sacrifice accuracy in favor of false equivalences that I wish I could say fool no one, but that many seem to think are spot on comparisons that normalize appalling, dangerous behavior. 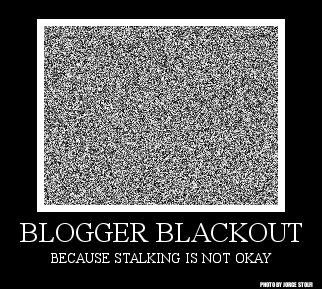 In response to this, a few bloggers have decided to do a review blackout for a couple of days (until the 27th). It’s, perhaps, a small protest, but I hope it sends the message that bloggers and reviewers aren’t promotional tools to be discarded when they become too much trouble or to be ignored when authors decide to put our safety at risk, and to remind ourselves, as well as the community of readers, that we’re here to talk about books. I’ve made sure my NetGalley account has my contact info set to “Private”, so that no one, not even the publishers, can see it. You can easily do this on your profile under the Settings tab by clicking on the eye symbol next to the information you want to make private. I don’t know if this page is accessible to readers who use screen readers or any other type of assistive technology, though. I no longer accept physical review copies, opting only to review e-books. This policy has actually been in place for a couple years now, but I’ve made it official. I also think it’s important to keep pressuring HarperTeen and HarperCollins to categorically respond to our privacy concerns, so if you are a blogger and they have your address, here’s a link to all of their publicity contacts. I suggest emailing them to let them know we don't feel safe working with them. Book Thingo: Shenanigans in Social Media: An Author Brags About Stalking a Reader as well as Kat’s Storify account of some of twitter’s most egregious responses. *Actually, it isn’t, because this is an escalation of what Stop the Goodreads Bullies started in 2012, and I’m frightened just thinking about what will come next. I totally forgot about the NetGalley profile having address information! Thank you so much more the updates. I'm pretty grateful at this point that I only ever accepted physical review copies from a very, very small number of publicists, and they happen to all be adult imprints, which seems to be a bit more... I don't know.. professional, than the YA imprints. I am just so weary of the continued escalation of really disturbing behavior. I'm weary and worried, because yes, it keep escalating. Two years ago I thought we had hit rock bottom, but now this, and reviewers getting sued, that other reviewer who was stalked and physically assaulted because of a negative review, so I keep wondering, what's next? And I really hope the answer to that is not what I'm picturing. I checked NetGalley and fortunately I already had my address and phone number set to private. (yay me! ).